Portland StoneWorks LLC specializes in residential and commercial custom stone fabrication. We can bring your vision to reality. 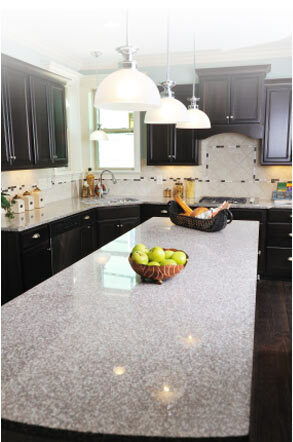 Stone, natural and manufactured, is always a great choice, for it's natural beauty and durability. Whether you select granite, marble, limestone, travertine, etc., be assured that we will design, fabricate and install your product in a timely manner. We guarantee you'll be happy with our use of quality stone products, fine craftsmanship and caring customer service. From kitchen counters to fireplace surrounds, and from reception desks to restroom vanities, Portland StoneWorks can handle the fabrication & installation on your next residential or commercial stone project. We do most of our work in the Portland, Oregon area, but also fabricate stone pieces for projects throughout the country as well. So please contact us for your free estimate, regardless of where you're located. Copyright © 2012-2016 Portland StoneWorks LLC. All Rights Reserved. Legal Information.